Sage Financials: What's New in Sage Financials March Upgrade? 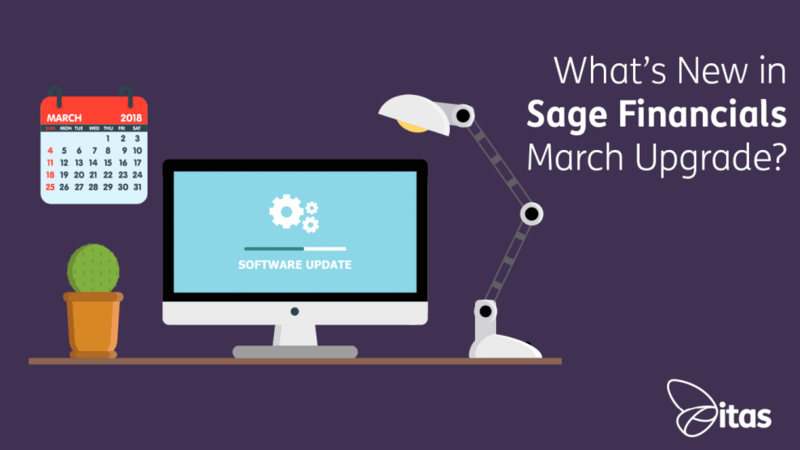 Sage Financials: What’s New in Sage Financials March Upgrade? It is that time of the month again! As the new Sage Financials (Sage Live) upgrade rolls out we have some exciting new features to play with including Bank Revaluation, Tree View Related Transactions and new Reporting Capabilities. Lets take a closer look at the newest additions and improvements to the software. Previously, we have been able to revalue both the Sales and Purchase Ledgers. Now we have the ability to also make currency adjustments to foreign Bank Accounts within Sage Financials. This applies the most recent exchange rate to the balance of the bank accounts and posts any differences to the P&L Account for Gains & Losses. To do this, head to Ledger > Currency Adjustments > Generate Currency Adjustments > Currency Adjustments – Bank Accounts. Some of the previous feedback on finding things relating to a specific transaction is that the Sage Financials system can be a little ‘clicky’. We have lots of quick links and breadcrumbs to help speed up navigation but sometimes it is just easier to see everything on one screen! And so, Sage have introduced the Tree View for Related Items. This means when you go into the Related Section of a Transaction you will now see the Related Ledger Entry, Ledger Items, Payments, Credit Notes, Orders all in same page. This is structured in a collapsible Tree View meaning you can minimise and expand depending on what you want to see and when. Sage Financials (Sage Live) is built on the Salesforce Platform, and so some elements have always resided as a ‘Salesforce Function’. One of these elements was the ability to create a new user. You can now create a Sage Financials (Sage Live) user from within Sage Financials. The process is super easy too. You just head to System > Users > New. Just pop in the users First Name, Surname, Email & Username (which should be in the format of an email address). Then the system does all the hard work for you. It will automatically assign the user a Financials License, and standard permissions. Easy! The screens for paying invoices in Sage Financials have seen some small adjustments that we think will make a big difference to usability. The screen now displays up to 20 invoices rather than 10. The Account Name & Reference appear alongside the Transaction Number. This gives much more visibility over the transactions you are paying. There is also now a Total! So you will see a total payment amount now when paying more than one invoice. If you are paying foreign currency invoices, you can now enter an exchange rate on the Payment. We have definitely saved the best for last with this months release. There have been a raft of changes to the way that reporting works in the Sage Financials system. The first side of this is to do with the Management of Reports. Reports are now to be displayed per legislation which means if you are in a UK Company you are no longer going to see the French, Spanish or German Reports! You can also create your own structure for folders. Previously, reports were not updated, instead you were given a new version number e.g. Trial Balance v76. Moving forward, reports will be updated when your org is upgraded. This means your current standard reports will be removed and replaced soon. If you have any custom reports or have made changes to a standard report, they will still be available from the Reports folder. To make them visible in Financials, you’ll need to save them to a Sage Custom Reports folder. You’ll need to create the Sage Custom Reports folder first. This one is my favourite. One of the best things about Financials is the ability to tag Transactions with an unlimited number of dimensions. Meaning you can track all sorts of different information that is relevant to your business. In the current system though, we are limited to 3 dimensions per report. The dimensional reporting has previously felt quite clunky and often difficult. But the new release sees a new reporting method that should make reporting by dimension much simpler. There are now new fields on ledger items and ledger entries. These are then ‘mapped’ to the dimension tags. This mapping effectively moves the tags to the ledger items/entry using Dimension Types. To be mapped, the new ledger item field and the dimension type set on the tag must have the same label. For example, the Customer dimension type maps to a field labelled Customer Tag. There are ten custom Analysis fields for use with your custom dimensions, you can then pull these into your reports! Sage are taking a phased approach to the reporting changes so expect to see much more on this in the next few months. This has been a great release from Sage and will certainly simplify the system whilst also bringing in some highly craved features. What do you think of Sage Financials new release? Is there anything you desperately want to see on the road map? Get in touch and have a chat with one of our Sage Financials Experts! You can also find out more about the latest Financials release by heading over to the Sage Customer Portal. Home » Sage Blog » All Sage Blog Posts » Sage Financials: What’s New in Sage Financials March Upgrade?